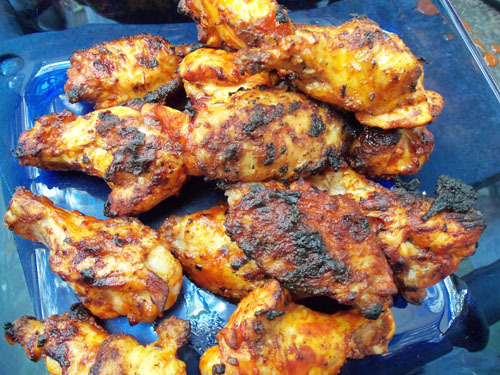 I wanted to end the summer with a bang so on Labor Day I made hot wings on the grill. 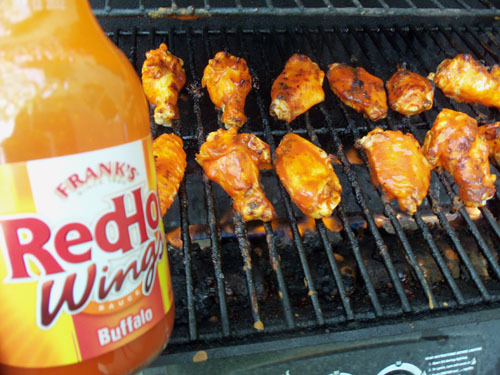 Since Frank's Red Hot Sauce was used for the original Buffalo wings I picked up a bottle of their wings sauce. Then I basted, basted and basted some more while they were on the grill. They turned out sooooo good. While I was on the website looking for how to make the wings I noticed that they have a wings locator iPhone app. 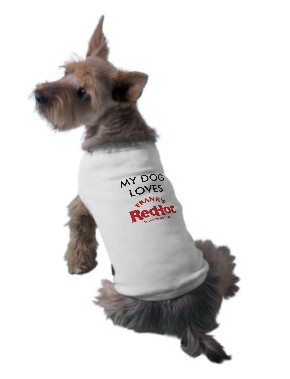 They also have a red hot t-shirt you can buy for your dog! 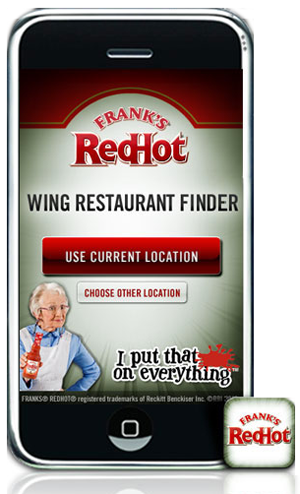 And yes, while I was on the website, I watched a few of the Frank's Red Hot commercials with the potty mouth old lady. We grill wings exclusively, now. We use Steven Raichlen's method (from How to Grill) to grill the whole wing stretched on a skewer; it makes the turning much faster! Oooh, hot wings! There used to be a place here called Wingers that had THE best spicy-sweet sauce which I've duplicated to the best of my memory using Franks Red Hot. Now I go to Wingstop.